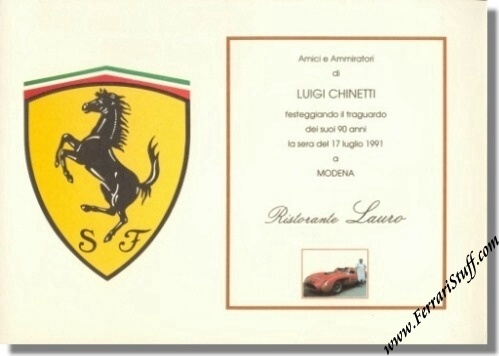 This menu was issued on July 17, 1991 to celebrate the 90th birthday of Ferrari Legend Luigi Chinetti. 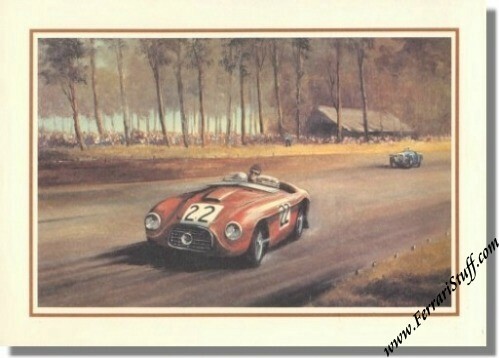 Apart from building the Ferrari sales in North America, Chinetti Sr. is also renowned for winning the 1949 Le mans 24 Hr. 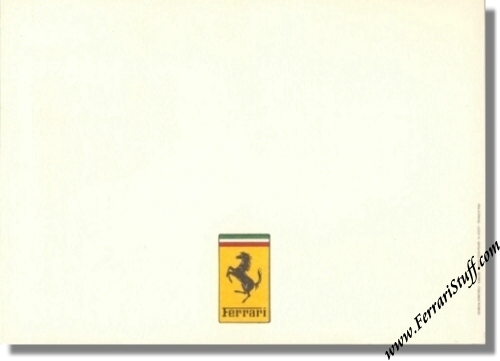 almost single-handedly (the front page of the menu shows that feat) and for establishing the N.A.R.T. 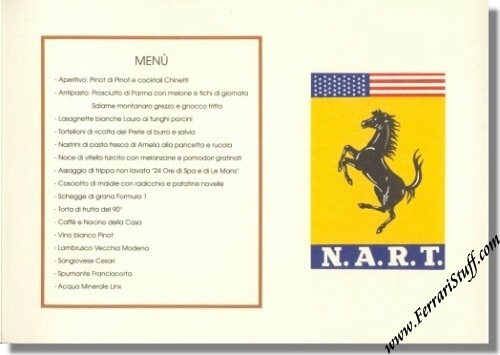 Ferrari decided to "throw a party" for Chinetti in Modena at "Ristorante Laura" and this menu was used at the dinner. It measures approximately 11.5 x 8.25 inches and folds open to double that size.